FRESHPET NATURAL FOOD & 5 WINNERS GIVEAWAY! Five minutes ago, I placed a bowl of scrambled eggs on Elsie's food mat and told her to wait 5 minutes for it to cool down. This is a treat breakfast and breaks up her usual breakfast of dried biscuit food. We don't feed her any human leftovers (but she does tend to steal my prawn crackers when we have Chinese takeaway), as we find it extremely important to love the inside of Elsie as much as we love the out. I am about to switch her over to some hypoallergenic dried biscuit food, as I think there's an ingredient in her previous food which she's allergic too. Unfortunately, the vets have already told me she has a slight case of doggy eczema, so even though her coat is lovely and shiny; her skin does get quite itchy. Therefore, I look at all of the ingredients in the tins of her wet food which she has for dinner, mixed with biscuits. However, having recently been on a shopping trip to Tesco, I came across a fridge down the pet aisle which offers freshly cooked food, with natural ingredients for both dogs and cats from a brand called Freshpet. Coincidentally, Freshpet emailed me a week later, introducing me to their products for pooches and pussies. 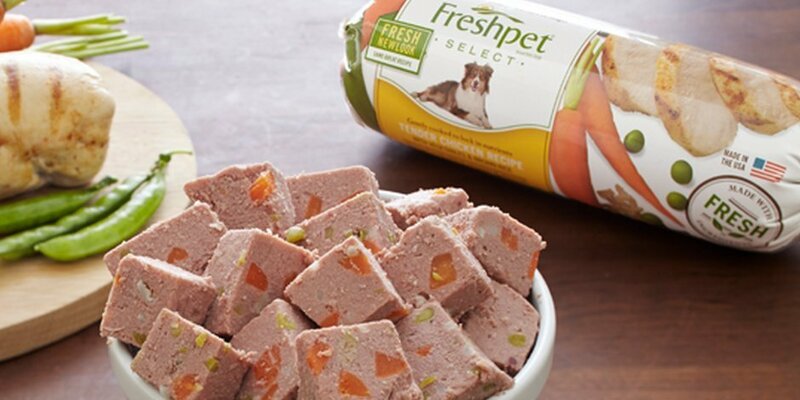 Freshpet have a wide range of less-processed and wholesome pet food. It contains none of the nasties and preservatives that many processed dog foods have. In fact, our last dog constantly regurgitated her wet tin food! 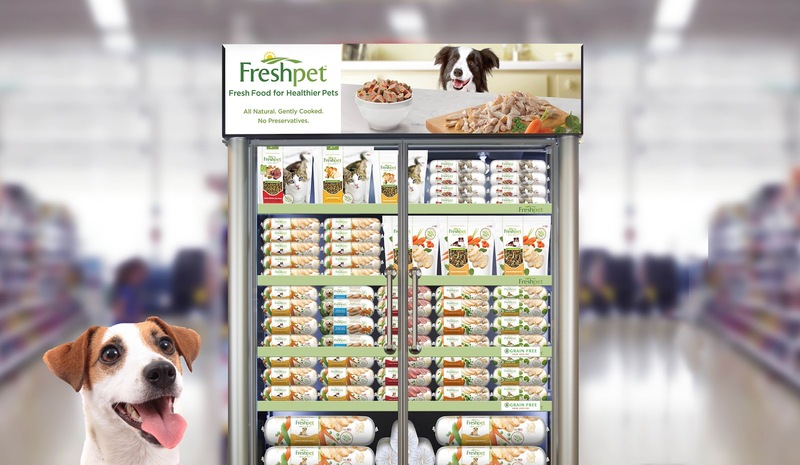 Thanks to Tesco, Freshpet are now exclusive to pet fridges in their supermarkets and have now introduced an American business to the UK. 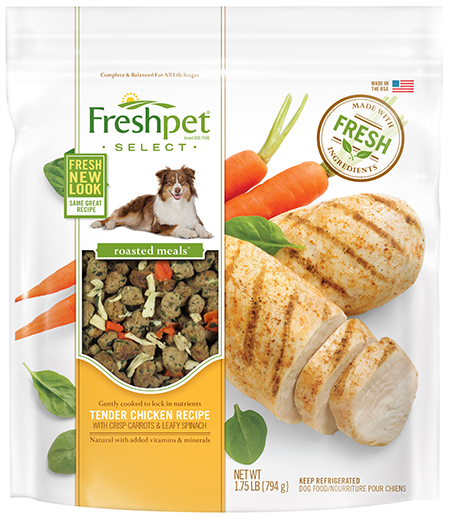 Freshpet foods are made using fresh poultry and vegetables and cooked in Freshpet kitchens in smaller batches. They are 100% complete and balanced and refrigerated as soon as they are made and all the way during their journey to Tesco supermarkets. Best of all, they are free from wheat, corn, soy and fillers; some of which I think is what Elsie is allergic to. A lot of thought and care goes into each batch that is cooked, so every food product produced is that of a high quality. 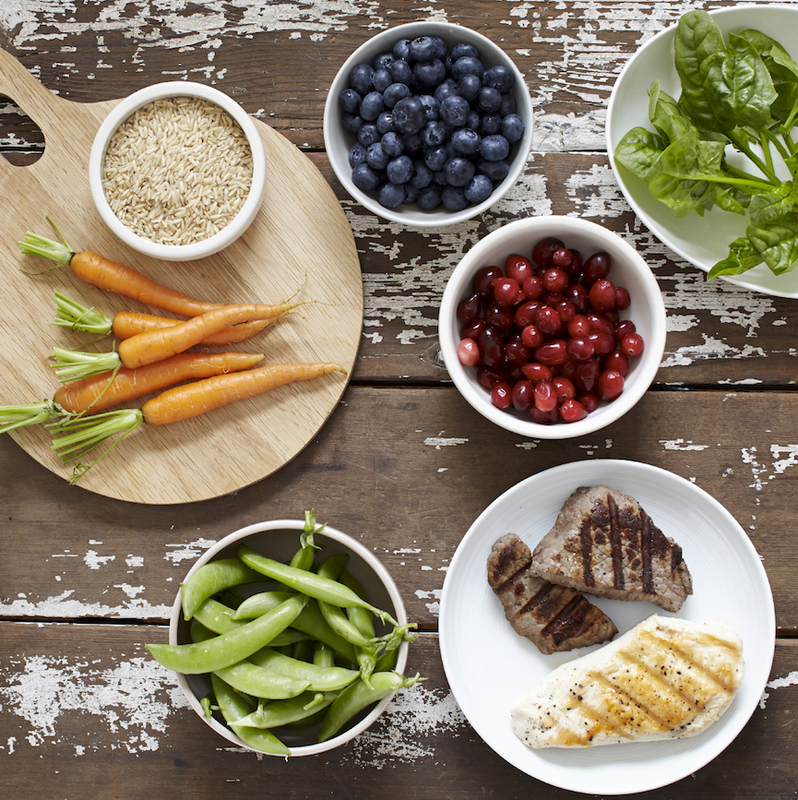 The range has been developed by vets, scientists and nutritionists to make sure the products produced are at their 100% very best. There's many different products to choose from; including a wide selection of different recipes and pack sizes. Pack sizes range from £3 to £13.50, which means it costs less than £2 per day to feed adog. That's also only around £1.50 per day to feed a cat on Freshpet food. Definitely cheaper than other leading pet food brands, but also a lot more beneficial to our pets. I have teamed up with Freshpet to offer 5 lucky readers of my blog the chance to win their very own bundle of Freshpet products for their dog or cat. Each winner will win a goody bag containing some vouchers to buy Freshpet products, a chopping board, bandana, storage tub and pen - which all comes in a very cool bag too! Good luck! T&C's: There are 5 winners who will each win a goody bag worth £15. It will contain vouchers to buy Freshpet food, a chopping board, bandana, pen and a storage tub. Open to UK citizens only. Entries MUST follow Freshpet on Twitter (@freshpet), Instagram (@freshpet), tag a friend in the Instagram comments AND me on Instagram (@ashllyd). Giveaway is open for 2 weeks and will end on November 20th . Winners announced on Twitter & Instagram. Diesel would definitely love something like this meal wise, now he's all old and silver, bless him.